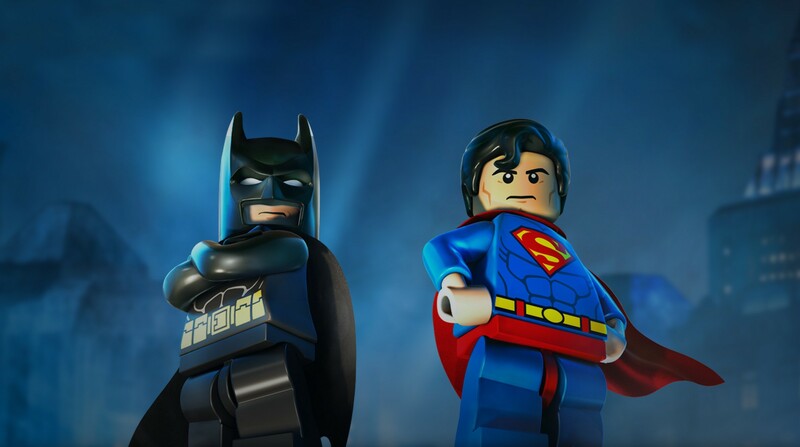 Read more about LEGO Batman: DC Super Heroes on our blog! Save Gotham City from the hands of evil! Legends, unite! Gotham is in danger as notorious villains like Lex Luthor, The Joker and many others are putting their evil plans on the move. The only hope left is for Batman and Robin to join forces with other DC heroes and stop them before it is too late. Do you have what it takes to create this all time perfect team? Play LEGO Batman: DC Super Heroes on PC and Mac with BlueStacks and choose between 80 playable characters that you certainly know and love, like Superman, Wonder Woman, Green Lantern and many, many others, including Aquaman and Green Arrow! All you have to do is stop Harley Quinn, the Penguin, Catwoman and other classic villains. Easy? Not at all! Prepare yourself to master incredible abilities, equip your heroes, fight your enemies and restore peace in Gotham, as you are the only hope left. Download LEGO Batman: DC Super Heroes on PC with BlueStacks and prove you have what it takes to be not only one, but many heroes at the same time! Why play LEGO Batman: DC Super Heroes on Bluestacks? Play LEGO Batman: DC Super Heroes. Redeem your BlueStacks Points. Get rewards! LEGO Batman: DC Super Heroes is a game that comes equipped with OTB(Out of the Box)/Ready to play controls to help you squeeze out every little advantage to beat your competition (Or play comfortably if the game is casual). 6 You're all done! Enjoy playing LEGO Batman: DC Super Heroes on your PC. Since we are talking about heroes and all the power that comes along with them, how about choosing the right name to be responsible to help you take on your favorite titles with much more ease and sharpness? We are talking about the new and improved BlueStacks 4, the most powerful gaming engine ever developed. In the end we are not afraid to say it even sounds like a super hero! Download LEGO Batman: DC Super Heroes on Windows 7, 8, 10 with BlueStacks and set an entire new pattern to your gameplay, by relying in incredible features that will make your life much easier, and transform your experience into something much better! Just so you know their names, the Keymapping tool, the Combo Key macro feature, the Multi-Instance mode, the BlueStacks Points and many other advantages are waiting for you in BlueStacks 4! Embrace it right now! Show off your super powers online! When you decide to take your favorite games to BlueStacks, you get the chance to transform your entire gaming into something much bigger, by interacting with other players, meeting new people and making new friends. Play LEGO Batman: DC Super Heroes on PC with BlueStacks and start streaming your game in real time with just one click, via your favorite social network, like the Twitch.TV, Facebook Live, Twitter or any other! Everything gets way better when you don’t keep all the fun only to yourself and share your experience.